I don’t know if you’re like me, but I have an undying love for cheese. Just like bacon I could add cheese or bacon to almost any dish. One of my favorite comfort food has to be Mac n’Cheese. The more traditional one is always good but just like Poutine Mac n’Cheese has evolved with almost endless possibilities of ingredients to add to give it a twist. There are a few places in the city that offer such variety and tried the Macbar & Fromage a couple of weeks ago. When you get to the restaurant you have two doors to choose from. One will lead you to the dining room and bar area and the other to a take-out counter with a few tables depending if you’re in a hurry or not. I was meeting with a friend and we got a table in the dinning room area. The decor is pretty cool with choices of high or low tables. They also have a central bar if you prefer where you can also order your choice of meal. 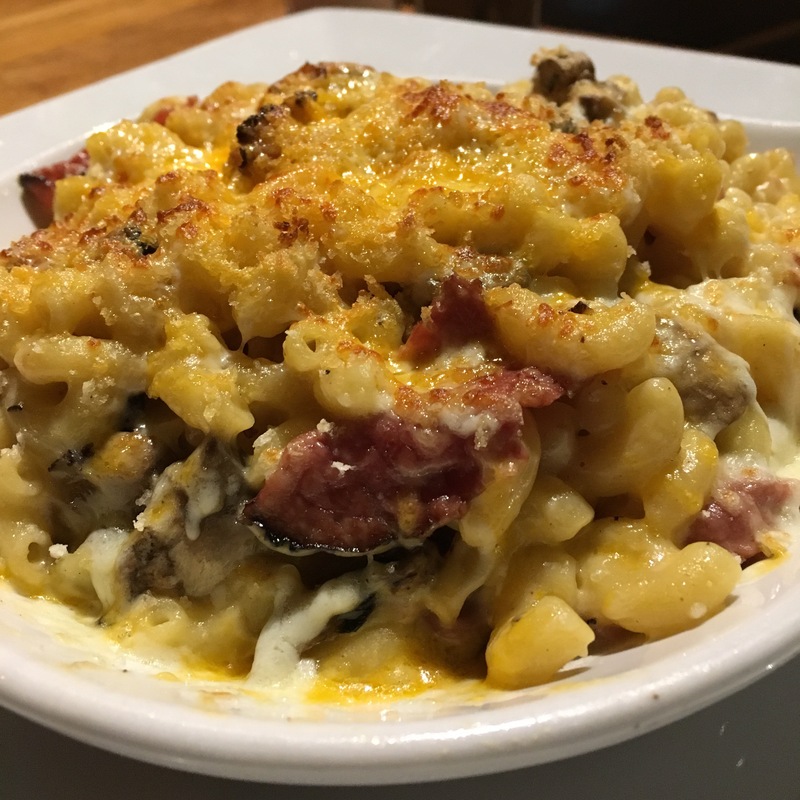 They have almost a dozen different Mac n’Cheese you can choose from as well as appetizers, grilled cheese, sandwiches, burgers and pasta. Naturally when in Rome I made my choice on Mac n’Cheese. 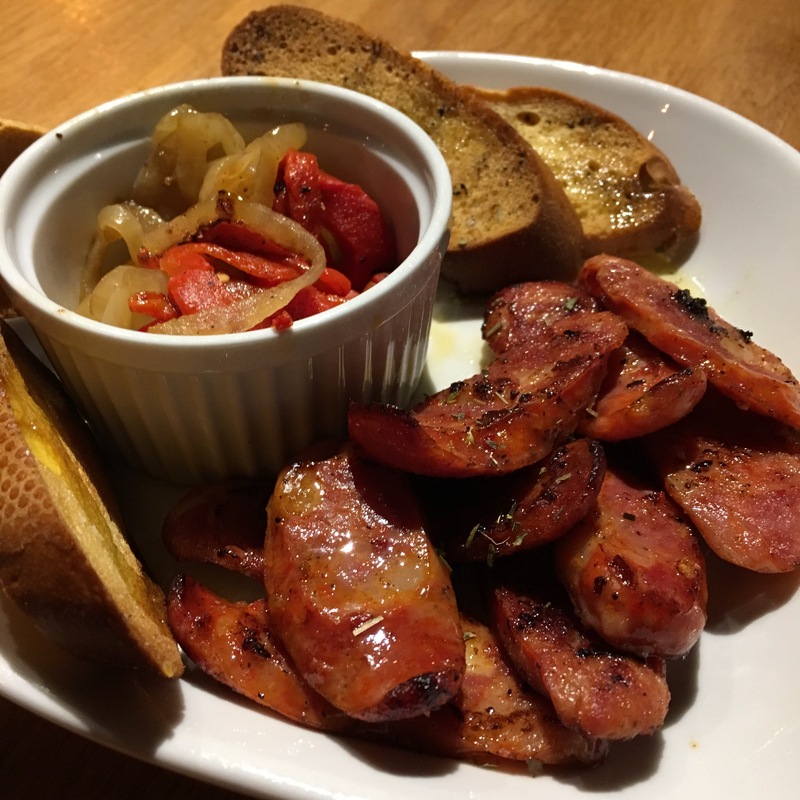 I started with an appetizer of Chorizo and vegetables and the portion was of a good size and well prepared. For my main I opted for the Montrealais Mac n’Cheese, a mix of cheddar and Swiss cheese with mushrooms and smoked meat. It came perfectly crisp on top and creamy on the inside. The other ingredients gave it a nice taste without overpowering the taste of cheese. My friend had the Macvolcan a classic Mac n’Cheese with honey habanero sauce and jalapenos. Since I’m going to quote him I can mention his name or I would probably cause him trouble but he admitted that his mom made a killer Mac n’Cheese and that this one to his surprise was even better. I hear it gets pretty busy so might want to get a reservation for the dining room if not you can always hit the take-out side.